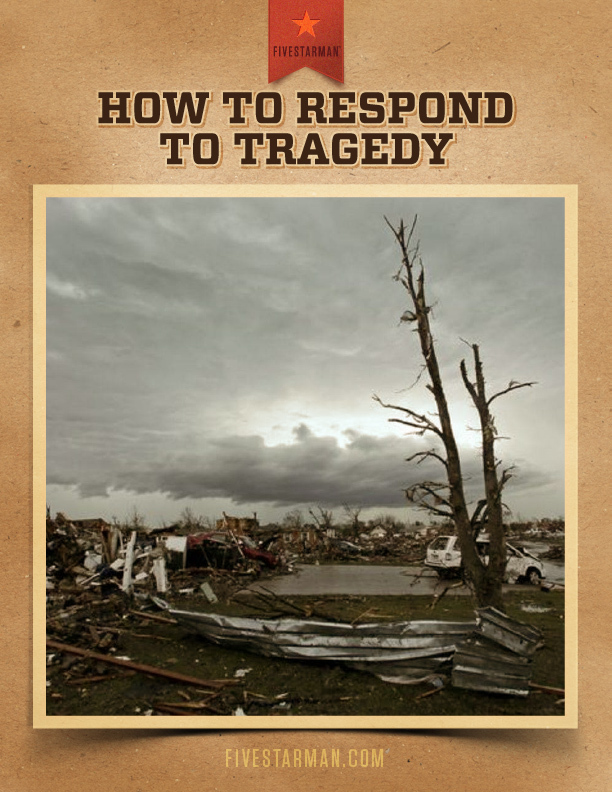 When facing a tragedy like the F5 Tornado in Moore, Oklahoma, we must check ourselves before we respond out of ignorance. Jesus warns those judging the tragedy of the fallen tower of Siloam that the eighteen who died were not more sinful than anyone else, they were simply the result of the tragedy of death. This happened because they are cursed. I am so grateful and humbled by this tragedy that I want to invest in helping in every way that I can. If you would like to help in relief efforts, please consider donating to convoyofhope.org.